Posted by fruitsofknowledge in Introduction. The Arabic word for Criterion is فرقان Furqan from the root ف ر ق , which means to separate; to distinguish. 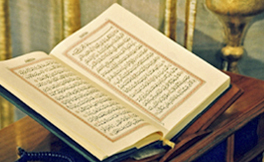 The word Al-Furqan signifies the Qur’an, that which makes a separation or distinction between truth and falsehood, guidance and misguidance, good and evil. The word Furqan is also used for proof and evidence, and the time a little before daybreak, or dawn.